Every year there seems to be a new training destination favoured by the pro teams. Calpe, Mallorca, Tenerife, the Cote d’Azur, Girona and Gran Canaria, have all recently featured as the latest must visit spot. But which should you choose and why? Join us as we attempt to answer that for you with an article about why you should choose our Calpe Training Camp. What should you look for in a cycling training camp destination? Each of these destinations share a broadly similar appeal. 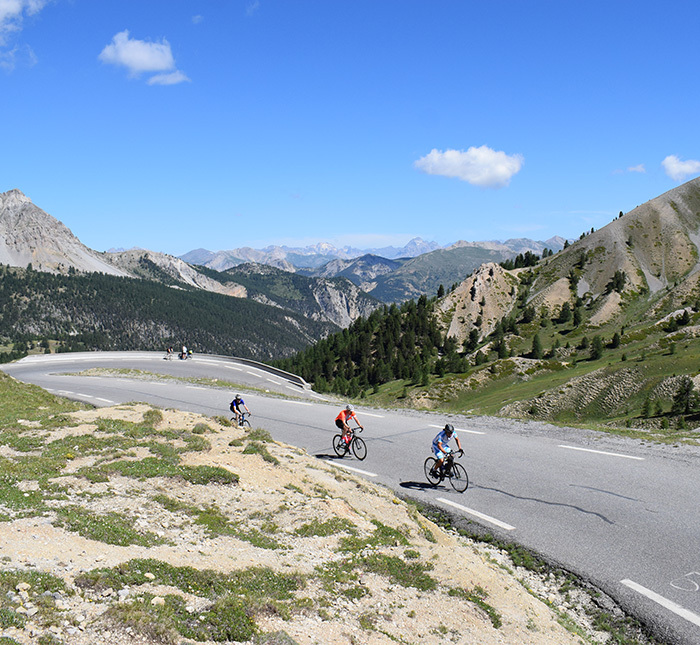 Combining (in varying degrees), good weather in the early season, riding from mountains to flat, well surfaced roads, a choice of accommodation and quick flight times from major airports. On the surface they all look the same. Team Sky went here, Orica went there, Cav loves X etc etc. The key thing for you to decide therefore is what combination of factors is important to you. 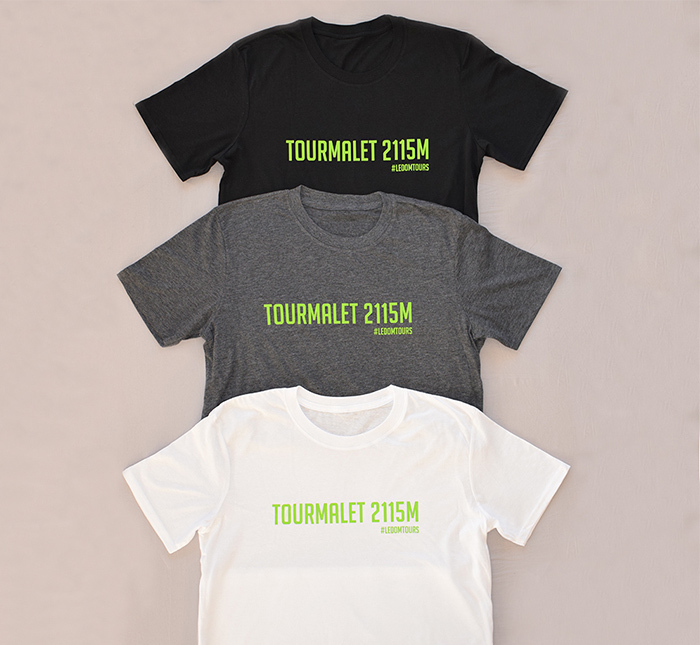 Do you want climbs that all your mates have done before? Do you want to ride on empty roads? Is having the best weather high up on your agenda? Do you want to do your own thing or join a more structured training camp? Are you focussing 100% on eating, sleeping and cycling, or do you want more of a traditional holiday with cycling incorporated? Are you travelling alone or in a big group? Will you be travelling with family or by yourself? Once you have decided which of these holds the most weight, you can decide which cycling training camp destination is the best for you. Why do Le Domestique Tours Love Calpe? A quick note. While many stay in the seaside town of Calpe, the cycling that the area is famous for actually lies inland. Our rides therefore take us to the mountains that stretch out above Benidorm, Calpe and Denia. Calpe is simply short hand for this entire area. That aside, we love Calpe for a very simple reason. The roads are perfect for training, yet almost completely empty. As in you can ride for 30 plus minutes without seeing a car, cyclist or other human. But that doesn’t mean the roads are boring, or lacking variety. What it does mean, is space to focus on your own riding, the scenery and your training. The best description we can come up with for Calpe is that it is like a playground for cyclists, that you have all to yourself. Climbing – Calpe has everything, from climbing sea-level to 1000m in one continuous climb, to the perfect hill repeat/FTP bench mark climb, right through to leg crushing 15% monsters. Therefore if you want to improve your climbing, regardless of your target event, Calpe has the climbs for you. Descending – the roads are simply flawless and seemingly designed to allow you to build confidence and have the most fun possible. Therefore, if you want to build your descending skills and confidence, Calpe is the perfect place for you. Weather – while the weather isn’t guaranteed, we have found Calpe to be the most reliable destination in Europe. Therefore if good weather is high up on your list of demands (we question anyone who doesn’t say this…), again, Calpe has you covered. 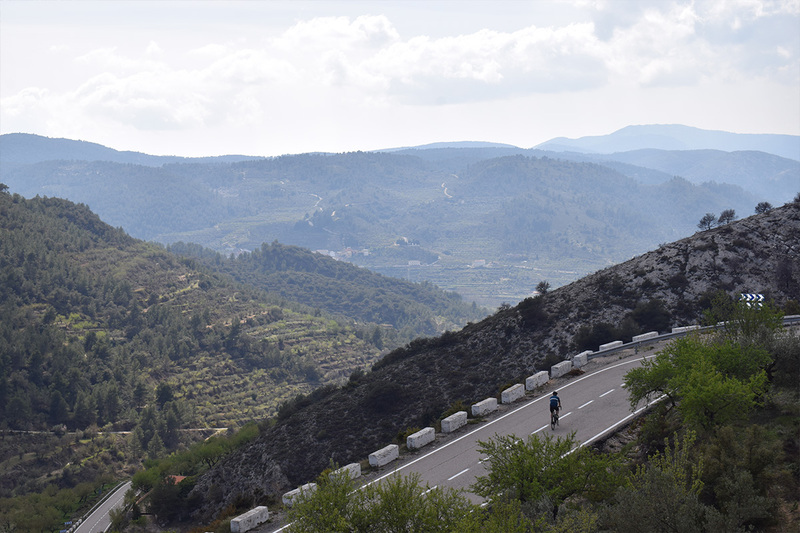 Quiet Roads – one of the quirks of a Calpe training camp is that relatively few people live in the mountains and those that do, tend to use the major roads. As a result, it is perfectly possible to go for whole chunks of a ride without encountering another road user. Variety – while the pros can afford to be indifferent to where they are riding, we value variety. This means not being stuck with the same drag out and in each day. Calpe’s staggering variety of routes ensures that you can very easily avoid riding the same roads. Flights – Alicante is just a short 45 min drive away, with a huge variety of flights from a combination of major and regional airports. Best of all, as Alicante flights aren’t bursting at the seams with other bike boxes, the difficulties many find flying to Mallorca, don’t exist. The Coll de Rates is simply the perfect training climb. 6.5km of steady 5%, mean this is a climb that everyone from newbie to pro can attack. It’s steep enough to challenge, yet not steep enough to push riders into grinding territory. Best of all it rewards with incredible views throughout. Val d’Ebo is one of those climbs that unless you have visited Calpe you have probably never heard of. But it is one of the greatest pieces of tarmac ever laid. To experience the descent at its best, we recommend first climbing the side you will descend. 8km at 6% again make this a perfect climb for training with sufficient length to provide a solid threshold effort. Once at the top and with a knowledge of the road below, we suggest you turn around and enjoy one of the world’s great descents. Fast, flowing and well sighted, the superb road surface and gentle gradient make this the perfect place to build your confidence and have fun. This is a climb you truly can ride from sea level to 1024m. Over 20km at an average of 5%, this length of climb is almost impossible to find anywhere else in the early season. 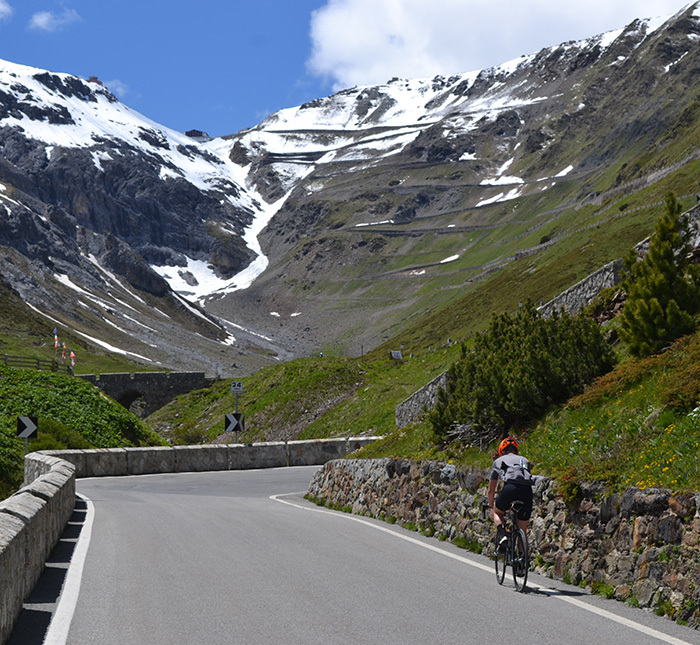 It is therefore, one of our favourite climbs in Europe for those training for the high mountains. Very few other places allow you to replicate the feeling of climbing for 20km. Our Calpe training camp does. This is an epic climb in its own right evolving over its length to throw everything possible at you. Everyone who rides the Tudons remarks on how much they enjoyed it and how much of a physical and mental boost it gave them. If you want to join our Calpe training camp in 2018 you can by signing up to one of our scheduled dates during the spring. During these camps we follow a structured series of rides, while also providing added value Masterclass sessions. These cover topics such as climbing, descending and building a training plan to ensure you return home with a physical and mental boost. All with the full support of our guided ride team and our fantastic overall packages.